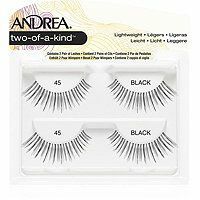 Andrea ModLash #45 (also known as Andrea Strip Lashes #45) style lashes are spiky in design, with moderate volume, but definite length. First, clean your eye area with a gentle cleanser or an oil-free makeup remover. 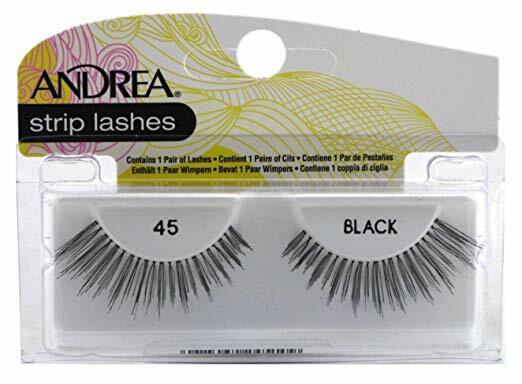 Peel your Andrea Modlash #45 false eyelashes off the package with a pair of tweezers. Next, use the wide end of a flat toothpick and squeeze a small drop of glue onto the tip. 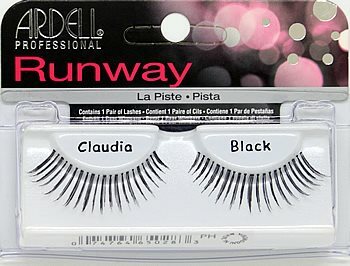 Then, take the strip of lashes and glide the glue from one end of the band to the other. Using a pair of tweezers, gently place the lashes, starting at the outer corner, to just above your lashline. Press down across the length of the strip to secure the lashes. Using a cotton swab, wipe off the excess glue.